Creating an Android Apps with Simple User Interface. Android Apps For WordPress, Drupal, Joomla and Ecommerce. Creating an IOS Apps with Simple User Interface. Creating an Windows Apps with Simple User Interface. this technologies can support many mobile platforms. Top rated mobile application development company. Android Apps – A Big Scope for Different Industries like Finance,Healthcare,Business, E-commerce,Security,Travel and map. We provide Windows Mobile custom Mobile application development services, having expertise in API Development technologies. CRR is the leading PhoneGap mobile Apps Development Company having expertise in PhoneGap,API technologies. Mobile App development Steps Price for Mobile App Development. Get Cost. 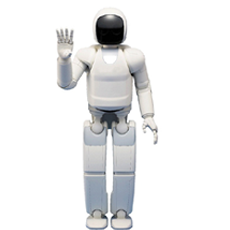 ROS is software libraries and tools that help you build robot applications. From drivers to state-of-the-art algorithms, and with powerful developer tools, ROS has what you need for your next robotics project. Reduce costs involved in robot production. Most Advanced Robotics 3D Simulation Software like Virtual Robotics Toolkit,Visual Components, RoboDK, Robot Virtual Worlds, Microsoft Robotics Developer Studio, LabVIEW, V-REP, Webots, RobotStudio, Gazebo, Actin Simulation, Workspace, Algodoo, EZPhysics, RoboLogix, WorkcellSimulator, Roboguide, RoboWorks 3.0. ROS will integrate of AI, Visual-SLAM, vision, navigation, planning, reasoning, speech/natural language processing, Managing the hardware drivers,memory and processes, concurrency,reasoning algorithms. Peer-to-Peer,Tools-based,Multi-language,Thin,Free and open source,Mapping and 3D localization for robust navigation systems..
We are having the Services from CRR Performance exhibited is last 10 years backtesting results , They Provide Exlent Support to Develop my Mobile APP with Best qualities. I belive to Chouse CRR is Always Right Choice for by business. Create Frame, attractive design, feature-rich, API Database developed by CRR. Well-done To CRR, The app that will be a great complement to the standard calendar..